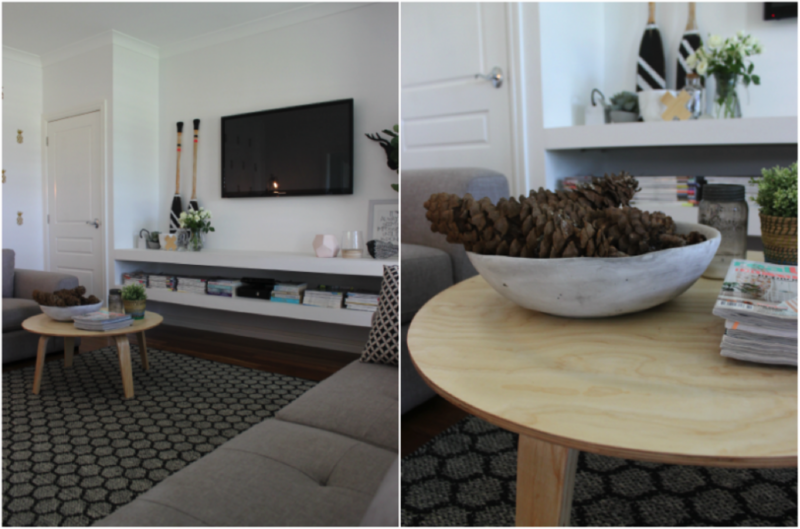 The Block’s Katrina Chambers updates her living room! Katrina is a former contestant on The Block, a lover of pretty things & is addicted to Instagram. Her blog, katrinaleechambers.com is about sharing pieces of her life & capturing moments as they happen. 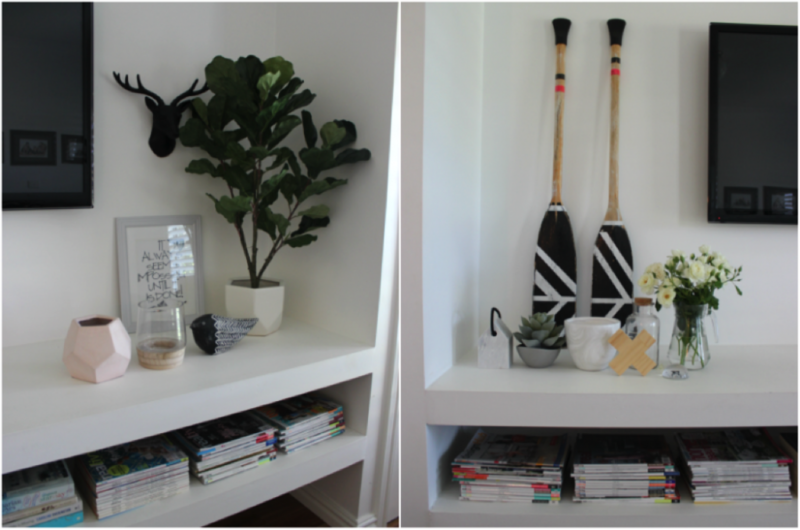 Her blog focusses on interior design and DIY projects. 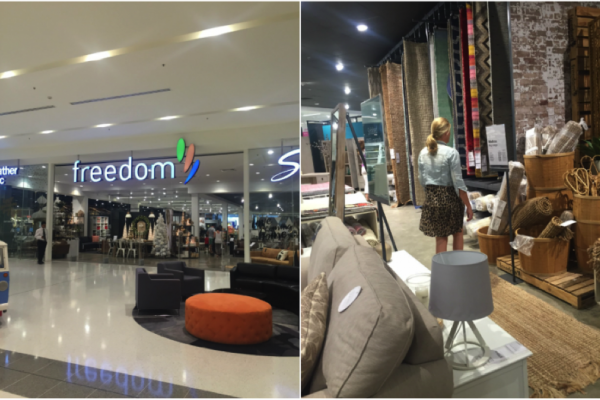 Last weekend my husband and I headed up to Sydney for a day of shopping at Supa Centa Moore Park. I was gifted a voucher to spend on jazzing up my living room. 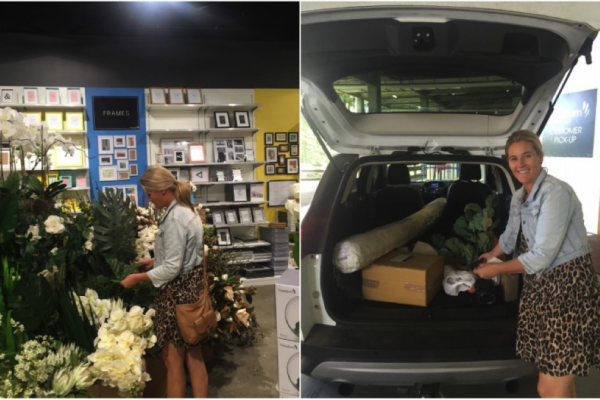 I was pumped – who doesn’t loving a shopping excursion?! My living room before was looking tired as it’s had the same stuff for a long time now. I knew that with just a few new items I could transform the feel of the room. My kids sometimes watch movies or play Xbox in here too. 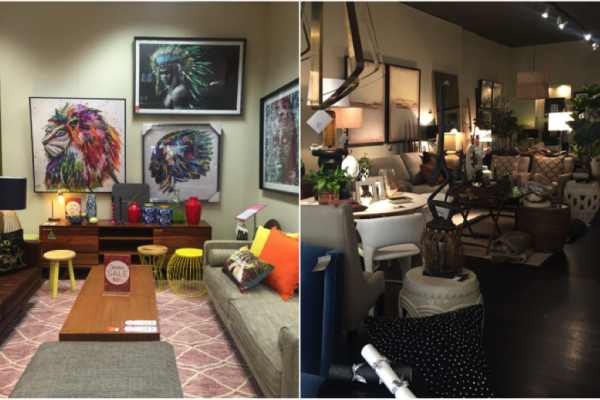 Creating a comfortable and stylish space doesn’t have to be a daunting or expensive task. Simple style tweaks to maximise space can make a world of difference. I wanted to make it a room where any of us could hang out. Plus it’s the first room you see when you enter through the front door, so it had to be looking it’s best! Before I left, I had a list of things I wanted. It’s better to go with a plan. I went online first and checked out what homewares stores would be available at Supa Centa, then I created a possible list of things to look at. This way I wouldn’t waste time and be indecisive when I arrived. 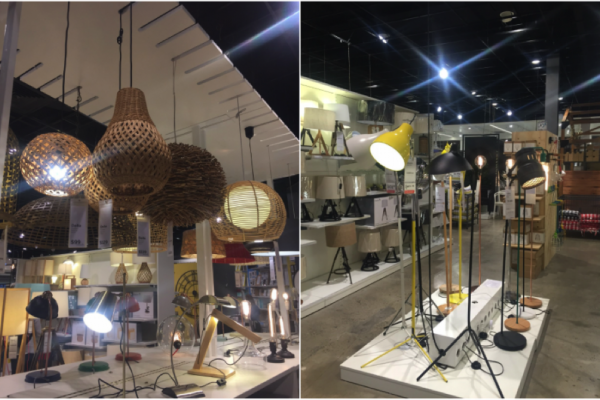 I knew I wanted a floor lamp, a new rug and some trinkets for my shelves… I wanted to visit Freedom, OZ Design Furniture, Shack, Adairs, Contents International Design, Orson & Blake. When I arrived I wandered around making a list in my phone. OZ Design had some fabulous and bright artwork. 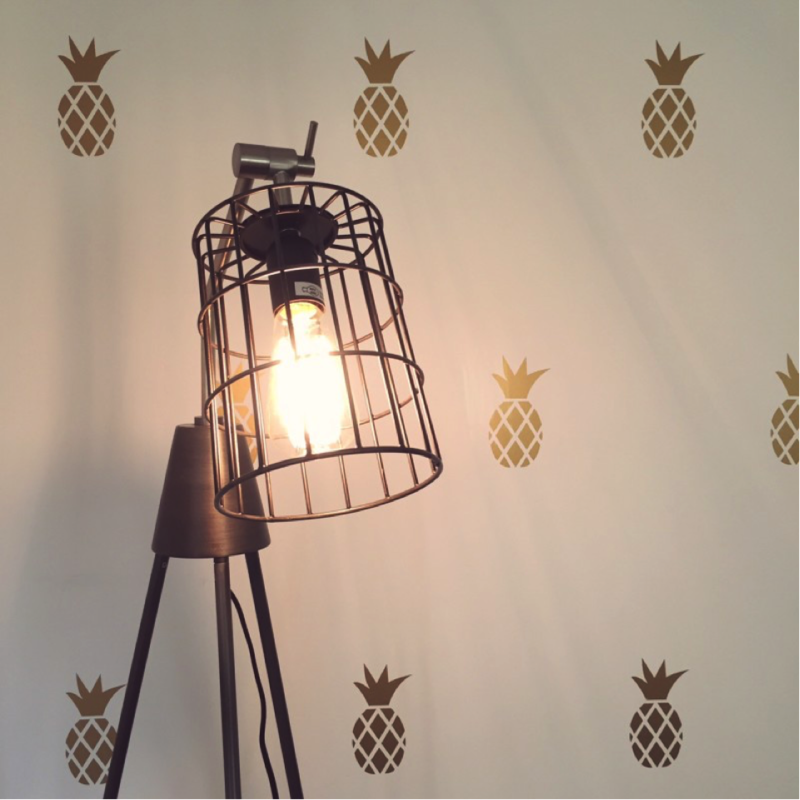 I already have a gold pineapple wall in my living room. It’s the wall you see as you first walk in to my home. 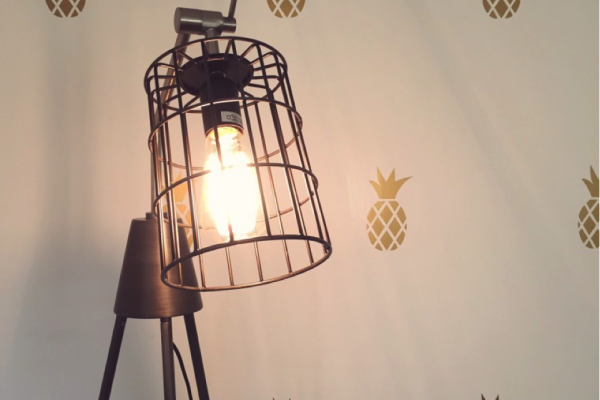 I wanted to make it a welcoming room that expresses our personality and the pineapples added a little bit of fun to the space. Artwork creates a statement piece at eye level so it’s important to get this right. It can be a full wall, or just a few pieces. I visited Contents International Design a few times. Very cool shop and everything was right on trend. I picked up a cowhide many times – I was so tempted. Next time! I checked out all of the lighting at Freedom. I even considered a new pendant light for my room. The wicker looked great and would suit my living perfectly. Lighting in the living room is often overlooked. You can balance the lighting throughout the room by using a ceiling lamp, table lamps and floor lamps. I think a floor lamp was in order for me. I chose to keep my room quite muted in colour and tones. 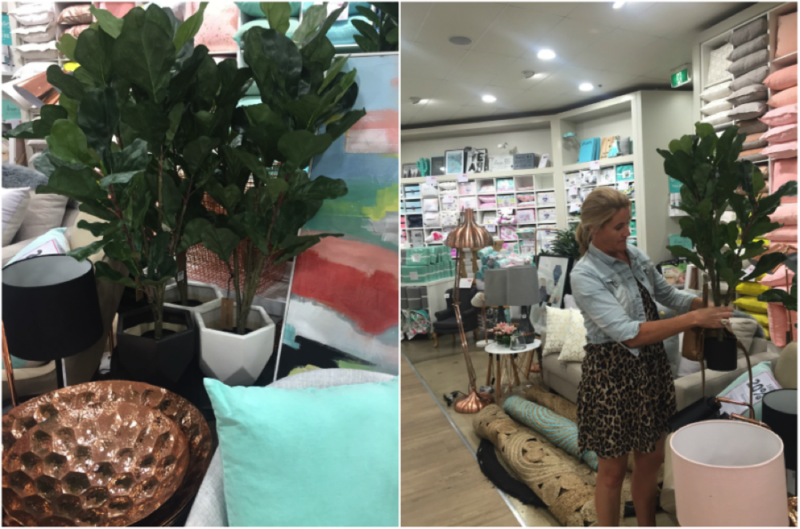 The colours of a room often affect how you feel in the space. Colors can energize or relax the space, depending on how intense they are and how warm or cool they are. I decided to sick with natural colours and add a little bit of greenery with this faux fiddle leaf fig. I made my husband carry this – I couldn’t pay for it quick enough. It was my favourite thing. I knew it would balance out the oars I have one side of the TV. It would also also a little bit of colour. My kids like to lay on the floor in my living room and I decided I needed a new rug. I chose a new floor rug which provides comfort underfoot and makes a design statement as well. It’s quite large so it fills the space. Price was a big factor here. Floor rugs can be so expensive, but I found one I fell in love with at Freedom. 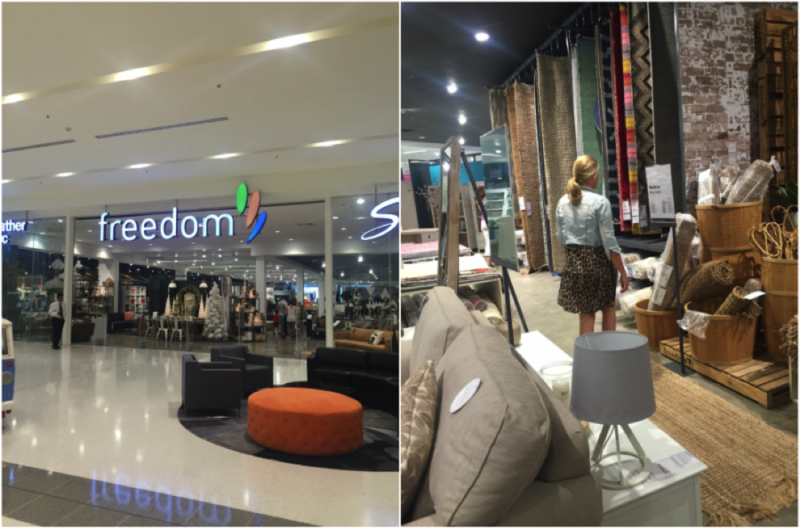 We don’t have a Freedom in Wagga any more, so I was so happy to get inside this big outlet. Heavenly! We loaded up the car with our final purchases and got ready to zoom back to Wagga Wagga town. I had ticked off all the boxes and was happy with a new rug, a floor lamp and some other bits and pieces which would finish the room nicely. I was home only 20 minutes and I had everything unpacked and in place. Here is my new room! Living rooms are gathering spaces, so I’ve arranged my furniture to promote conversation and interaction. I’ve pull seating pieces away from the walls and arranged them to face each other. I didn’t put any chairs/couches with the back to the opening. The coffee table isn’t large because the space on the floor becomes a place where the kids can drag a pillow and blanket in to watch a movie. 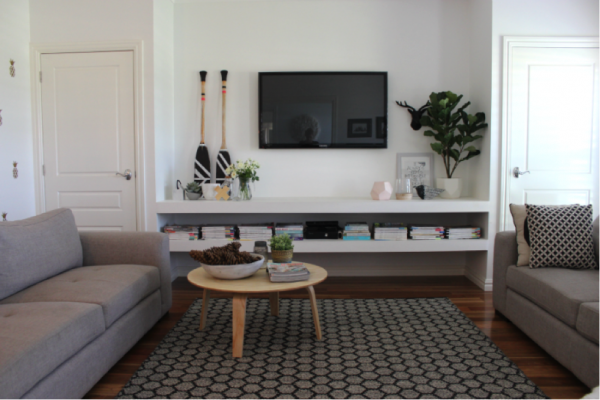 Storage is also key when it comes to keeping the living room tidy. The more you can put behind closed doors the better. We’ve built 2 cupboards either side of the TV area. In there we’ve put the photo albums, lego and Xbox stuff. Out of sight is the way I like it! My boys aren’t in to toys anymore so this room becomes more of a sitting place rather than a playroom. I think this is why I chose natural tones and didn’t make it too girly. I’ve mounted the TV and all of the cords are in the wall for a more streamlined look. We built the shelves with a frame and gyprock to fill the space. One day I am hoping that Xbox will go – that will really make me happy haha! 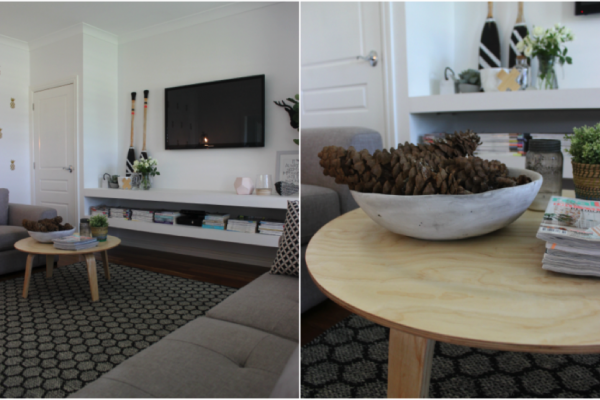 Accessorising a room with some whites/greys/pastels adds the persoanl touch I was after. I didn’t need colour or huge statements on the shelves as they would become over cluttered and messy. The pineapples and the pattern on the rug is enough. I’ve also choosen the “less is more” approach with throw cushions. The new floor lamp creates a relaxed, comfortable mood. I don’t need overhead lights on ever in this room, so a floor lamp in the back corner creates a good mood and illuminates the room.